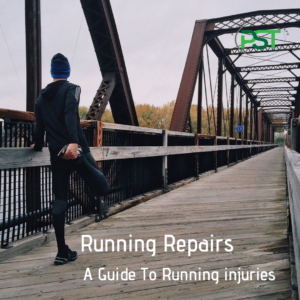 I get back pain when running – why? 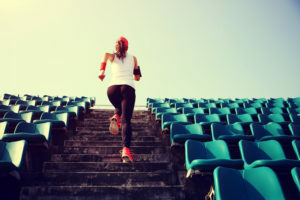 “Please help, I get back pain when running and it’s stopping me from enjoying it” We tend not to think of back pain as a running injury but it is more common than you might think. Back pain when running is definitely in the group of common complaints that I deal with. So why do you get back pain when you run? There can be a huge number of reasons why you get back pain when you run and last weeks post about your glutes not firing has some of the answers. The primary reason is likely to be that the lower back is “over worked”. Why is it over worked? It is doing more than it can recover from often because the glutes aren’t able to do their job. The glutes are the primary stabilisers of the hip and torso when you are running so if they aren’t able to do this due to fatigue the back muscles have to take up the slack. The lumbar muscles are now doing a lot more work than they are used to. The body is very adaptable so you can tolerate it up to a point. Beyond this and fatigue sets in and recovery becomes an issue. When the glutes aren’t strong enough to maintain a stable torso other muscles are required to come into play. On foot strike, the whole gluteal group contracts hard to maintain the position of the pelvis. If they aren’t strong enough to do this then the pelvis will drop away from the stance leg. There will now be a need to control the larger degree of lateral flexion in the spine. To reduce this the erector muscles and quadratus lumborum will come into play to help control the movement. Another, often not considered area, in back pain when running is the arm swing during running. The arms should move backward and forward rather than out to the sides. If the arms are moving backward and forward then we get a gentle rotation through the spine and little rotation in the pelvis. When the arms are moving out to the side the action is one of rotating the shoulder girdle. This rotation of the shoulder girdle is required to be counter balanced by the pelvis rotating. The rotation of the pelvis creates more movement in the lumbar spine than we really want. The rotation of the pelvis creates more movement in the lumbar spine than we really want. We now have a situation where the back muscles are trying to control excessive flexion AND rotation. When you consider that they are working away gently in the background this is a massive increase in workload. The hamstrings have two roles in running. To control the knee, along with the gastrocnemius, and extend the hip. The play a big roll in transmitting force through the leg. The most common issue I see is where the ability to control the knee isn’t great. This results in more force being transmitted up to the hip and back. A lack of the ability to stabilise the knee plays a big role in many leg/back problems. With regards to back pain, the primary role is that of giving the glutes more to do. If the hamstrings aren’t absorbing the forces on landing they are giving the glutes more work to do. This feeds into the glutes being overloaded and then similarly for the back muscles. If we address the lack of this ability we canoften alleviate a lot of the issues in the hip and back. In the injury prevention pyramid, this comes 3rd. Managing your training load is 1st, strength is 2nd then we come to movement skill in the form of running technique. If you manage your training load well you can really build your resiliency, regular, progressive training forces the body to adapt. A well-managed training program forces adaptation but also, crucially, allows time for this adaptation to occur. If you constantly push the boundaries without allowing time for the adaptation you create the situation where an injury is highly likely. If you add strength training into the mix you create a further stimulus that provides a protective mechanism. Increasing your absolute strength means that you are better able to cope with the demands of running itself. Now we come to your running technique. If you are managing your training well then you’re bodies sheer robustness will take care of things in most cases. WHen you start to push the load upwards be it total volume or intensity you then start to need to hone your skills. The better your technique the less chance of pushing things too close to the edge. Good running technique will help distribute the forces well. I’ve had runners in who were capable of mid 30’s for a 10k who were breaking down because they’d pushed the envelope too far achilles problems, back pain etc, etc. In all of them, there were at least one or two of the things mentioned above going on. They had all reach the point where they had exceeded their ability to adapt. Work on their technique helps expanded that tolerance as the stress was being more evenly distributed. The addition of quality strength work expanded it even more. Previous PostPrevious My glutes aren’t firing?